Looking for a cheap flight from Palembang to Paris (PLM-PARA)? Before you book a flight you can use Utiket to find the cheapest flights from Palembang to Paris for Lion Air, Garuda Indonesia, Batik Air, Wings Air, Citilink, Air France. All flight data are real-time and accurate. Utiket finds all the cheapest flights from Palembang to Paris. 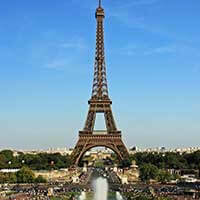 Be aware there is a time difference of 5 hours: The time in Paris is 5 hour earlier than the time in Palembang. 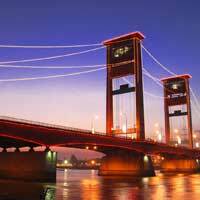 The timezone for Palembang is: UTC +07:00. The local time now: 08:58:54. For Paris the timezone is: UTC +02:00 and the local time now: 03:58:54. The Sultan Mahmud Badaruddin II Airport serves the city of Palembang and surrounding area in South Sumatra Province. This airport is named after Sultan Mahmud Badaruddin, the last Sultan of Palembang, and the airport is often abbreviated as SMB II Airport. Find cheap flights to Palembang or read more about Sultan Mahmud Badaruddin II International Airport.